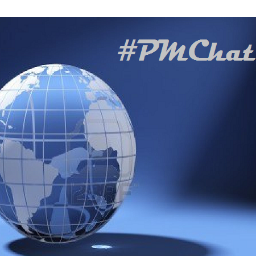 Originally created by Rob Prinzo and Robert Kelly, #PMChat, is a weekly project management Twitter chat that happens every Friday at 12:00 PM Eastern. It’s a great way to share insights and exchange ideas with some of the most engaging and influential project managers, and get answers to project management related questions. Also, great news for PM Students- For simply participating, #PMChat allows you to earn professional development units (PDUs) towards your PMI certification. April is ToolsMonth on #PMChat and OneDesk is thrilled to be featured as a guest speaker on April 26th (Click here for more details.) So Join us! Tweet us @onedeskapp as well as chat with the hosts @rkelly976, @robprinzo via Twitter throughout the live broadcast. A big thanks to Robert Kelly and Rob Prinzo for letting us be part of this great #PMChat event.